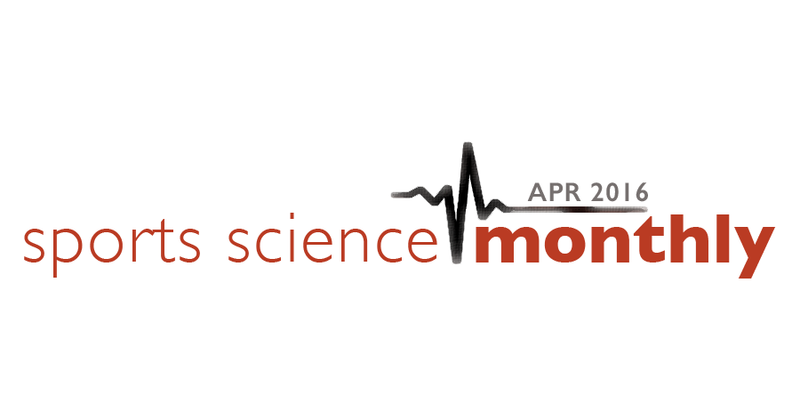 Welcome back to another edition of the monthly round up of sports science research. This month we have a look at a program for preventing hamstring injuries in sprinters, a bit on running economy, beta-alanine, blood flow restricted training, vitamin D, and the All Blacks Rugby Team. Enjoy! → Quick Summary: A mixed approach to exercise programming for the reduction of hamstring injuries appears to be the most effective. Injury prevention exercises should include both concentric and eccentric strength exercises, along with dynamic flexibility and co-ordination drills. January saw the publication of a really good longitudinal study from a research group based in Japan looking at the prevention of hamstring injuries in collegiate sprinters. If you read this column regularly, you’ll know that hamstring injuries can be very costly to athletes, as they increase the chance of subsequent hamstring injury, especially in those athletes who run as part of their sport. You’ll also be aware that prediction of injuries can be very difficult, as can the complete prevention of certain injury types. The subjects of this study were 613 male sprinters aged between 18-24 years. They were recruited over 24 different seasons from 1988 and 2011. All sprinters were under the same coach, and training records were well kept. The 24 seasons were split into three different periods, lasting four, eight, and twelve seasons respectively. These periods marked the different hamstring injury prevention methods utilized by the coach. Period 1 consisted of concentric hamstring strengthening exercises only. Period 2 added agility training to the concentric training, which included ladder and mini-hurdle exercises. In the third period, eccentric hamstring exercises and dynamic stretching exercises (walking lunge and hurdle walkovers) were added to the exercises from period 2. The strength exercises were performed in the athletes’ weight training sessions, and the agility and flexibility training were performed in pre-track session warm ups. Hamstring injuries were defined as those that prevented the sprinter from taking part in training or competition for at least a week, which is perhaps a conservative definition given that disruption of training for 4-5 days can be frustrating. In the first period, there was a hamstring injury prevalence of 16 out of 116 sprinters. In period 2, there were 12 injuries out of 198 athletes, and in period 3 there were just two injuries in 299 sprinters. Remember, period 3 lasted for 12 seasons, so that really is a remarkable statistic; just two hamstring injuries in that time! This is obviously very compelling evidence for the use of a mixed injury prevention program when it comes to the hamstrings, comprised of increasing both concentric and eccentric strength, as well as agility and flexibility. In doing so, the results of this study suggest that hamstring injuries in sprinters could be significantly reduced, and possibly even eradicated. What isn’t reported in this study is the athletes performance times (they might have been quite slow athletes, and so not subject to the same forces as elite athletes) or how their times progressed within the program (they might have been less likely to get injured, but also got slower, for example – which probably isn’t a sensible trade-off). Nevertheless, this is strong evidence that the use of specific exercises can certainly reduce the changes of a hamstring injury occurring, indicating that they should become a mainstay of sprint programs.